It's almost time for Open Access Week! OpenAIRE and FOSTER organise a full week of webinars and tutorials (October 22-26) you are much welcome to attend. 10 ans d’ORBi à l’ULiège. Et demain ? Quelle communication savante à l’ère de l’Open Access et de l’Open Science ? Da der freie Zugang zu Publikationen keine Grenzen kennt, sind Sie herzlich zum Open Access Tag der Universität Trier am 18. April 2018 von 13-18 Uhr eingeladen. Research data is a crucial pillar of the research process. Data Conversations are all about bringing researchers together to share their data stories, discuss issues and exchange ideas. Whether it is about data creation, collection, use, processing, sharing or management; whether it is about lessons learned from your own failures (#DataHorrorStories) or successes in dealing with data; Data Conversations aims to make the exchange happen. Have an FNR (co)funded project that received a positive funding decision after 1 January 2017? 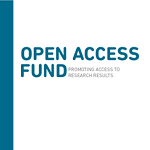 Then familiarise yourself again with the FNR Policy on Open Access and its OPEN ACCESS FUND. The programme provides financial support to reimburse fees that may arise from the publications of peer-reviewed research results in Open Access. The FNR just announced the first call for proposals with a deadline for applications of 30 June 2018. An information session on Open Access and the FNR Open Access Fund will be organised to help with any doubts and questions (see FNR website for dates and details). Couldn't make it to our Open Science conference in October? Catch up via this blog posting or watch the recording of the event. Do you speak Open Science? Discover why you should! 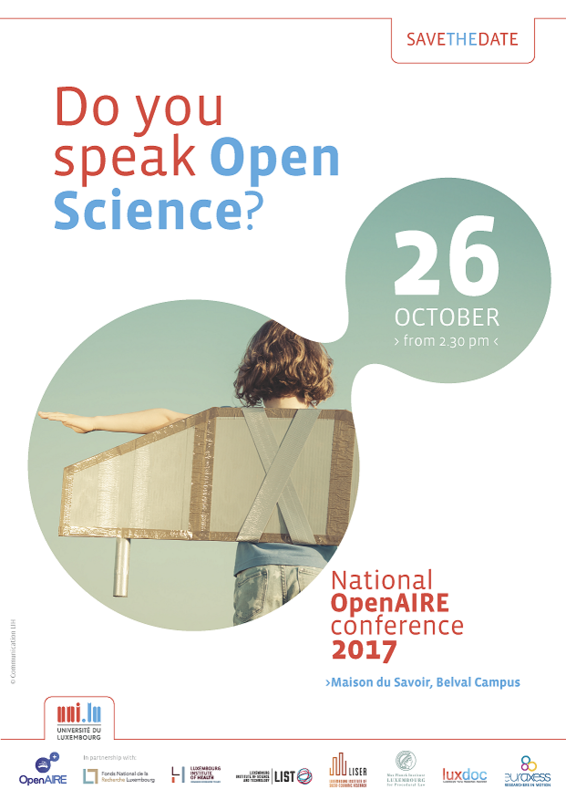 Mark your calendar for Luxembourg’s first National OpenAIRE conference on 26 October 2017 and attend either physically at the Belval Campus (Esch-sur-Alzette) or online through our event live stream! You will hear from Prof. Lennart Martens (Ghent University, Belgium) about the benefits from Open Science, while Prof. Conchita D'Ambrosio (University of Luxembourg) will give you insights on its link with society and how we may be "Open in order to … fight inequality". The talks will be followed by an opportunity to discuss, debate and social network around a standing buffet! This event is organised by the University of Luxembourg and OpenAIRE in partnership with FNR, LIH, LIST, LISER, MPI, LuxDoc and EURAXESS. Are you thinking about submitting an article to our FP7 Post Grant Open Access Pilot funding scheme, but not sure if you’re eligible for support? "In Germany, the fight for open access and favorable pricing for journals is getting heated." Consortiums in both Germany and Finland are pushing back against the policies and practices of the large academic publishers who have annual increases that average 5% regardless of the economic climate and cover up to 50-60% of library budgets.